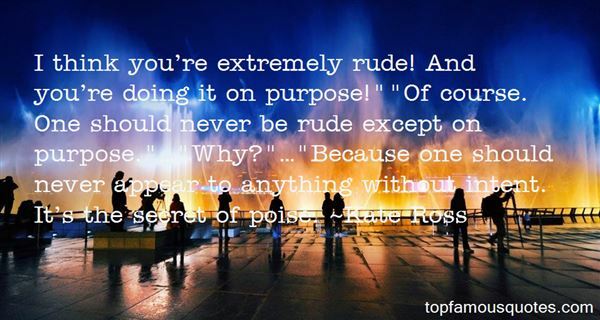 Reading and share top 6 Kate Ross famous quotes and sayings. 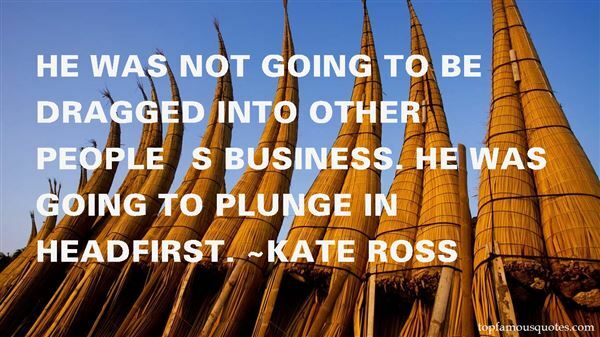 Browse top 6 most favorite famous quotes and sayings by Kate Ross. For years I lived in inner terror that I was, at heart, a weak and indecisive man. I think it was this fear that made me sick. Dean showed me how foolish all this was. 'Face the truth, Ken,' he told me. 'You are weak. All of us are. Come to terms with it. '"But then he pointed out I didn't have to stay this way, that God was certainly not weak. Dean has helped me understand that if I have the Spirit of God within me, then His strength would replace my weakness..."
What Did Kate Ross Talk About?